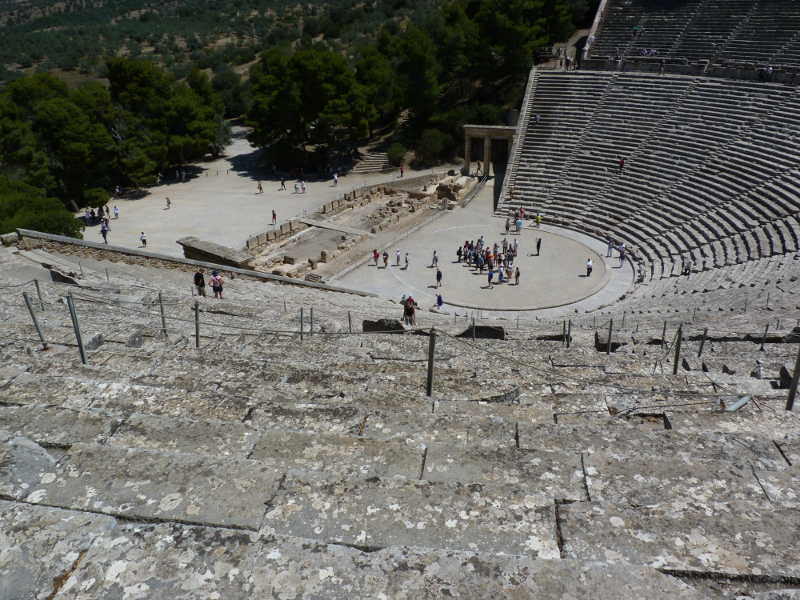 A recent visit to the ancient site of Epidauros brought to mind some thoughts about how technology can work adversely to agility. The site of Epidauros is perhaps one of the most famous of Hellenic antiquity. 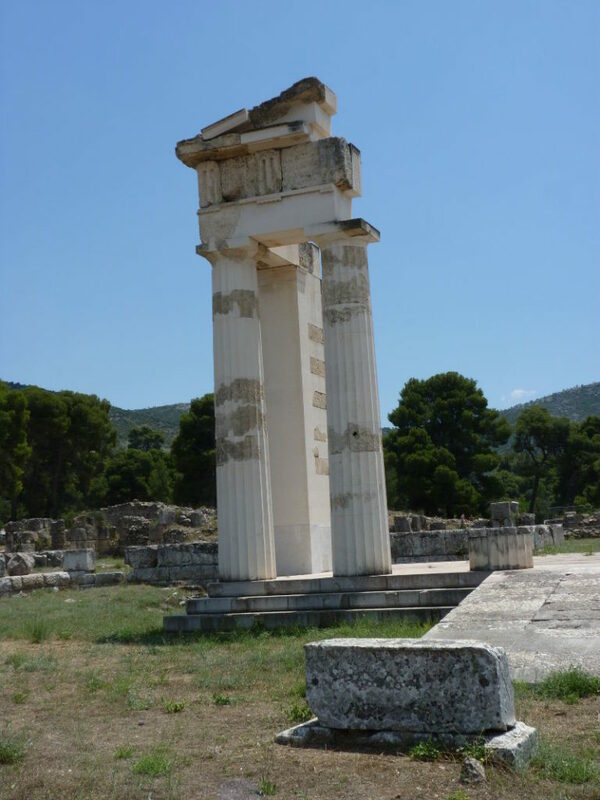 Its Askleipion is inscribed in the list of world heritage sites. While the theater itself is in fairly good shape, due primarily to the efforts of the Roman conquerors and modern archæologists, most of the other buildings are in a state of considerable ruin, due to a com­bi­na­tion of weather, earth­quakes and vandalism. This is a big issue for the tourism industry, so important to the e­co­nomy. People like to see ancient, grandiose constructions, like the Egyptian pyramids of Gizeh, the Mayan temples of Tikal or the sacred architecture at Angkor Wat. In Athens, what percentage of visitors go to see the Parthenon, with its erect columns, and what percentage visit the nearby ancient agora? Thus, the incentive to restore ruins, erect fallen columns and pose lintels on them. 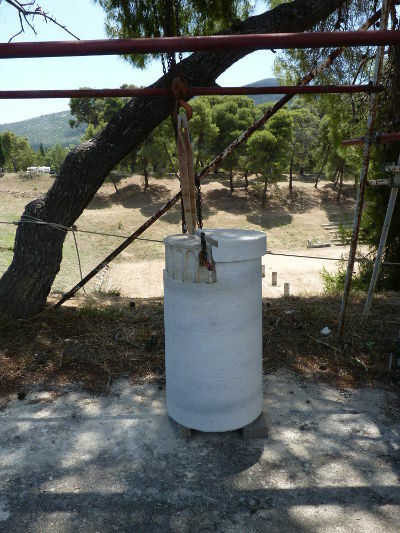 How to do this, given the poor state of preservation of most building elements, combined with the desire for authenticity, with­out cheating the visitor by mixing the ancient with the modern?1 At Epidauros, a solution is being ap­plied that makes use of high technology. Fig. 2: A modern part is created in which an ancient part will be inserted. The ancient pieces, as is, cannot be restored to their original positions. They are simply too damaged, too incomplete. So the pieces are measured using high technology. 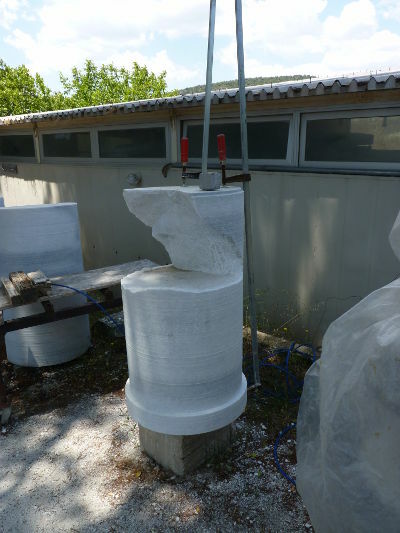 Next, a modern piece is created with a negative space in which the ancient piece is to be fitted. The resulting pieces are structurally sound. At the same time, it is easy to see what is ancient and what is modern. The modern parts are of brilliant white marble, whereas the patina of age betrays the ancient parts. Finally, the hybrid pieces can be reassembled to approximate the original building. Fig. 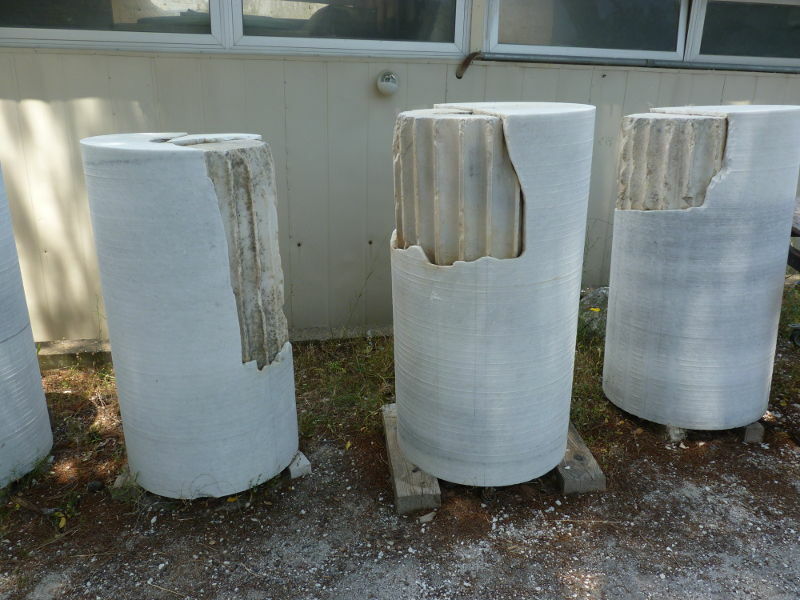 5: Partial restoration of columns, metopes, architrave, etc. 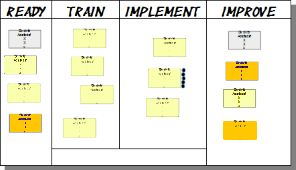 The issue with using this extremely sophisticated tech­no­logy is that it is anything but agile. The method is slow, certainly expensive and based on a set of hypotheses that might be reasonable, but serve to re­pro­duce our modern con­cep­tion of what ancient Hel­lenic arch­i­tec­ture looked like. If new in­for­ma­tion were to become available, demonstrating that the re­con­struction is inaccurate, how likely is it that the pieces would be dismantled and rebuilt differently? We might take pride in our technical achievements, our com­plex tools to automate and to manage, but isn’t the purpose of the structure more important than the edifice itself? Should we not take into consideration the likelihood that the tools themselves only serve to ac­cu­rate­ly reproduce our unstated biases? A house built of straw might not resist the big bad wolf, but at least it has the merit of being easily adapted, dismounted, moved or rebuilt, should our requirements change. The article Technology and Agility by Robert S. Falkowitz, including all its contents, is licensed under a Creative Commons Attribution-NonCommercial-ShareAlike 4.0 International License. 1See Umberto Eco, Faith in Fakes, especially the essay “Travels in Hyperreality”.